Drama, teamwork, passion, training...opera and football have more in common that you might think. 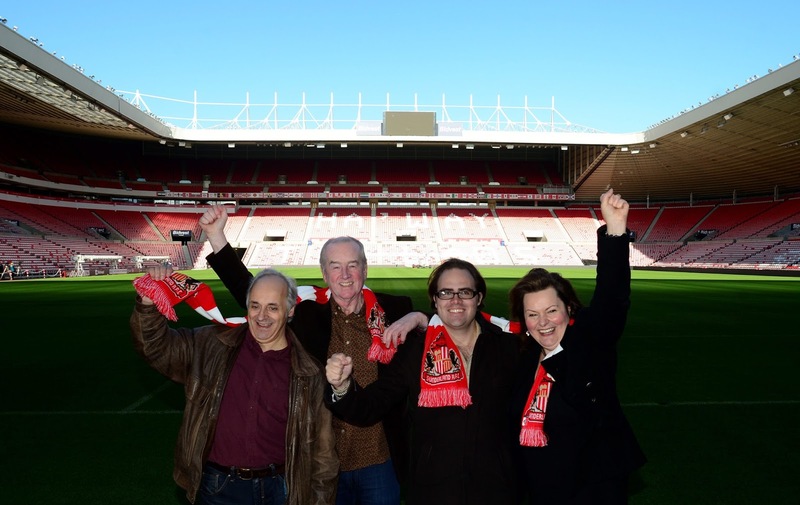 So what better subject for Wearside’s first opera than Sunderland AFC? 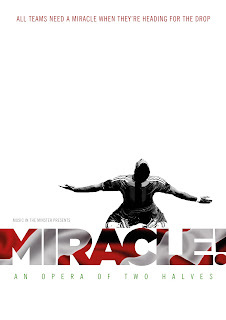 Written by award-winning author David Almond and composer Marcos Fernandez, Miracle! 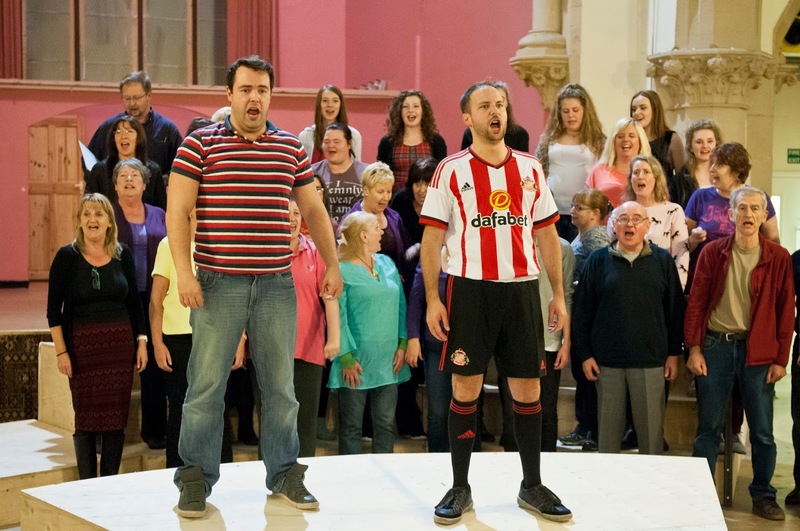 An Opera of Two Halves has been commissioned by Music in the Minster - a registered charity that brings experts from the world of opera to share their skills with the communities of Wearside. 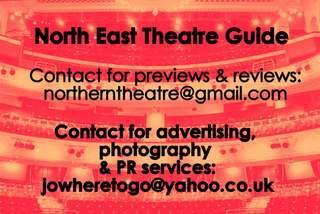 The charity’s patron, the renowned baritone Sir Thomas Allen CBE, was born in the North East mining village of Seaham and educated at Ryhope Grammar School. A star of the great opera houses of the world, Sir Thomas is a great supporter of music education. He is Chancellor of Durham University and in July was awarded an honorary doctorate from the Royal College of Music, where he used his speech to urge new graduates to “embrace a bigger world than just music”. 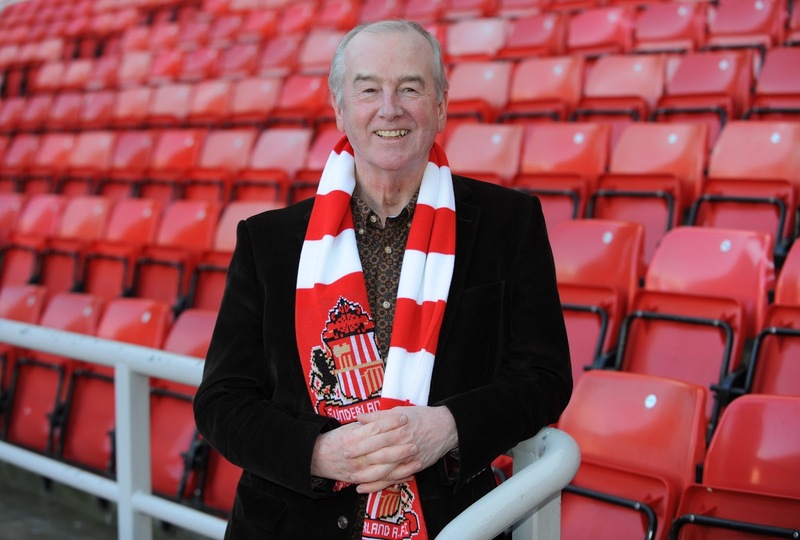 He explains, “There are several memories that are indelible when it comes to looking back over an upbringing in the Sunderland area. One has to be the sport, and whilst I was never talented enough to get onto a football team at any age from 9 to 18, I did enjoy rugby and usually managed to get to Roker Park after a Saturday morning match with my Ryhope teammates including Stan Anderson, Jimmy Montgomery, George Mulhall and of course the great Charlie Hurley. The creative team includes award-winning North East author David Almond (Skellig, Sage Gateshead), international award-winning composer Marcos Fernandez (Noctum, Cre.Art Ensemble, New York), director Annie Rigby (Lands of Glass, Unfolding Theatre), designer Gayle Playford (Wolf Hall, BBC), and Sunderland-born mezzo-soprano Alison Barton (Artistic Director of Music in the Minster). 42 local singers aged 12-70 will join a cast of professional soloists. Nottingham-born baritone Ian Priestley will play God/Larry. After studying at Guildhall, Ian has toured with the D’Oyly Carte and Carl Rosa opera companies and has appeared at the Buxton International Festival, with the Welsh National Opera, Scottish Opera, Opera North and at the Royal Opera House, Covent Garden. 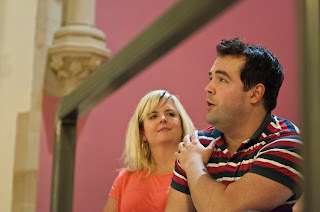 Angelo will be played by Cheshire tenor Jonathan Cooke (La Bohème, Grange Park Opera); baritone and keen sportsman, Miles Horner (Don Giovanni, Focus Opera) plays Sunderland AFC legend Hughie Mann; and Veronica will be sung by soprano Caroline Kennedy (The Magic Flute, Scottish Opera). Writer David Almond explains the plot, “All teams need a miracle when they’re heading for the drop. Things are getting desperate in the Stadium of Light. But God looks down and takes pity on the Black Cats. An angel named Angelo is sent to earth to play in red and white, and the miracle begins to unfold. But what about Hughie Mann, the local lad, who has been star striker until now? 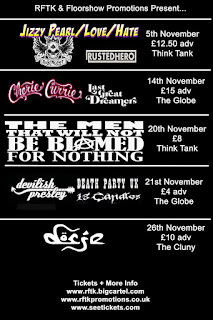 And what about the temptations of fame? Will Angelo be seduced by Barcelona, Bayern Munich, or Man United? And is he just a flash in the pan, another false messiah? And what about God, who wants his angel back again? Miracle! is a football opera for Sunderland. 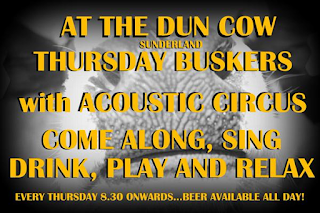 It takes place in the Stadium of Light, in Sunderland’s streets, on Roker Beach. It's sung in the lovely Sunderland voice. It’s driven by the chanting and singing of the crowd, and by a love of the beautiful game. It’s an opera that’s filled, like football itself, with reckless hope and dread despair. It echoes with the triumphs of the past, and points towards the glories of the future. As with all of Music in the Minster’s work, An Opera for Sunderland is very much about opportunities for local people to take part – from sharing their stories, to workshops and performance opportunities. Music in the Minster have been working with Foundation of Light, The Cultural Spring and Sunderland City Council Library Services to involve as many local residents as possible, including Black Cats’ Stories – fans’ digital stories about their experiences as supporters, creating a snapshot of what football means to people in the city; free singing roadshows, and open workshop auditions. 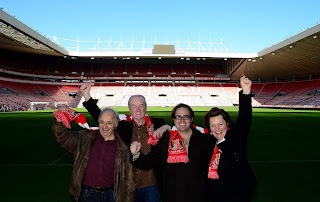 Sunderland-born Artistic Director Alison Barton explains, “I remember the atmosphere in Sunderland when the Black Cats won the FA cup in 1973. It was like an electric current running right through every home, school, workplace and street. Bobby Kerr even visited my school. Everyone felt part of it. MIRACLE! 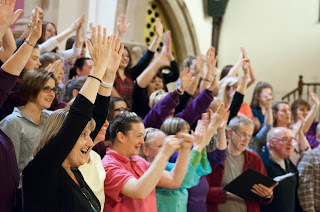 An Opera of Two Halves is at Sunderland Minster from 27-29 November 2015 at 7.30pm, plus 2.30pm matinee on Sun 29 November.